At Classic Metal Roofs, LLC, we know that your home represents comfort for your family, and your roof is what protects it all. The discriminating homeowner will understand that the best materials and service equal the most comfort and reliability when it comes to their home, and with decades of expertise in the metal roofing industry, our team is ready to provide you with the reliability you deserve. For too long, asphalt shingles have been the most commonly used material for roofing. Asphalt has many faults, harboring organic growth of moss and lichens as well as fomenting insect infestation, and becoming warped, cracked, streaking, and easily damaged by harsh New England weather. Needing frequent and expensive repair and replacement, asphalt shingles also contribute to the majority of building waste in landfills. On the other hand, the roofing systems we offer are naturally durable and resistant to the aforementioned problems, with no maintenance required. Plus, all of our aluminum products are made from 95% recycled material, and all of our products can be recycled at the end of their lifespan. 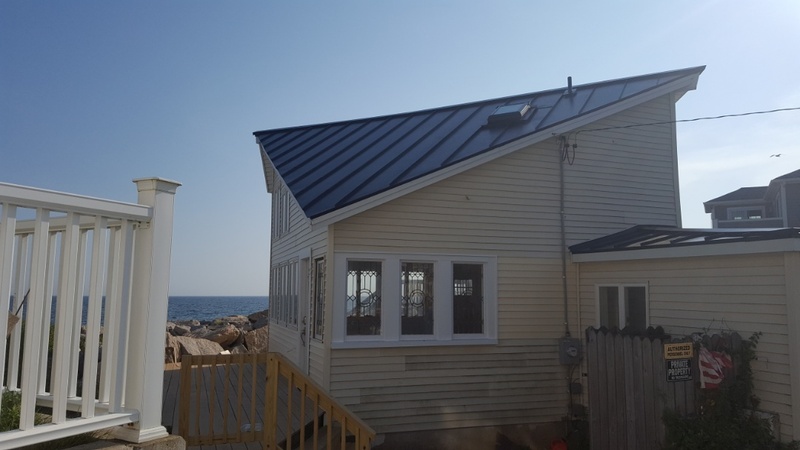 Even inferior metal roofing materials such as galvalume do not have the durability you can achieve for your home with aluminum, copper and zinc shingle roofs or standing seam metal roofs. While traditional asphalt shingle roofs may need significant repair or replacement after just 10 to 15 years, our high quality metal roofs can last up to 100 years. With our top notch installation and repair services, we are confident enough in our products to offer a limited lifetime warranty on all of our residential roofing systems. Contact us at (866) 303-2002 or fill out the form on our website to get a free estimate today. 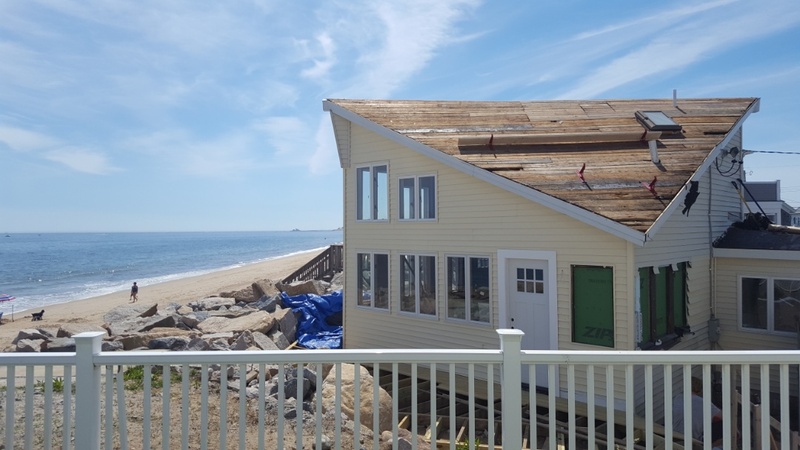 Just completed this cottage makeover, on the way to become a beach front year round home. This new aluminum standing seam roof will handle about anything that comes its way hurricane rated in the color subnet blue.